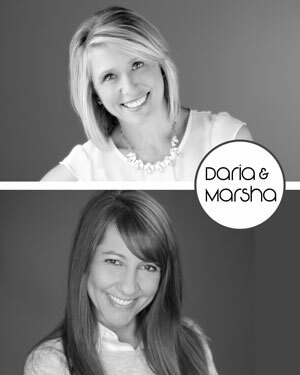 "I would highly recommend Daria and Marsha to anyone and everyone who is looking to sell their home. Their market knowledge is second to none. They staged the home and made it feel and look right off the pages of Home and Garden. They had professional photos taken and followed all of that up with a professional marketing plan that got the job done. They were an absolute joy to work with. Thanks Daria and Marsha!" "Marcia and Daria were very professional and knowledgeable, and knew how to get the job done. They came in with many ideas and knew what to do to get our house sold. When it came to purchasing a new house,they found lots that fit what we were looking for and spent many hours looking at them with us. After it was all said and done they still remained in contact to make sure things were going well and helped with some unforeseen problems that happened. Will miss working with theses ladies!" Real Estate is a complex world. While there will always be properties, home owners, and buyers, each of these facets is ever changing. Because of this, We look forward to the opportunity to share our negotiation skills and passion to connect clients with optimum properties. As active local agents, we are available to address all of your real estate needs whether buying or selling. Please give us a call, text or email so we can assist you through this process.